Are you currently planning your wedding and all you can think about is a beach wedding ceremony in a magic island with a stunning sunset light? Well, Greece HAS IT ALL and it's definitely one of my favourite destination for romantic weddings. Amazing mediterranean food, stunning landscape, authentic people and villages. I absolutely love it! And what about that incredible light for your romantic wedding day or honeymoon couple portraits. Unbeatable, right? If you're looking for your Wedding Photographer in Greece, do not hesitate to get in touch. Crete, Santorini, Paros, Mykonos, Sifnos, Zante... 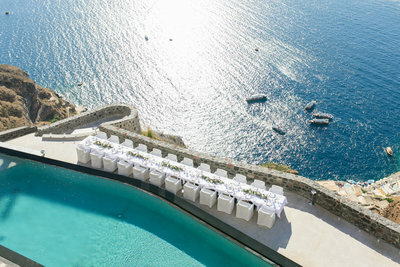 I can go on and on with recommending you special Greek Islands for your dream Destination Wedding in Greece! My half Greek husband and I are often in Greece as we adore this country so much! We recently organised a romantic getaway in Folegandros, an unspoilt and undiscovered gem island, and an early honeymoon in Santorini, one of my favourite European islands. Every year I travel to Santorini for work and I've recently photographed an Intimate Chinese Destination Wedding at Sun Rocks, a Swiss/Russian Destination Wedding at La Maltese, an intimate American Wedding at Villa Bordeaux and an English wedding at Theros Wave Bar, along with a few engagement sessions around the island. 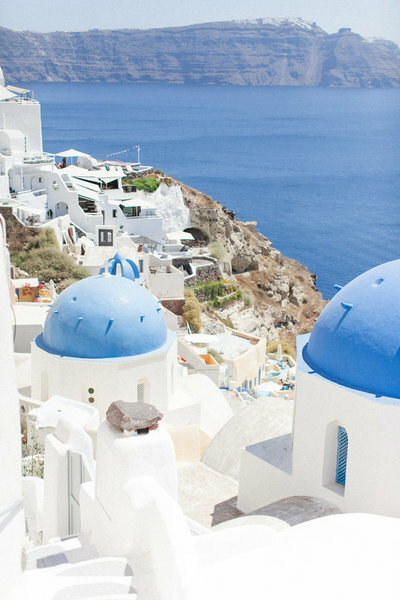 Santorini is such a unique and picturesque location and it's perfect if you are envisioning a romantic Destination Wedding far from it all. Its legendary sunsets and caldera view are seriously breathtaking! This summer I will be flying back to Santorini, Crete and Paros to photograph further Destination Weddings, so do not hesitate to get in touch if you're looking for your Greece Wedding Photographer. I can't wait to photograph more Weddings, Destination Weddings or Elopements in other Greek Islands! 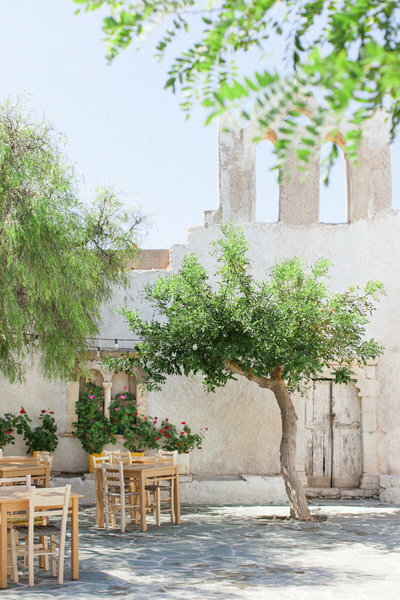 And if you're looking for your Greek dream Wedding venue, your ideal wedding planner or you just need recommendations for a florist or videographer, drop me an email. I'm here to help you along the way and I'll be more than happy to share with you my favourite Greek wedding vendors.